If you are a bride or groom-to-be planning your honeymoon from Jordan to any destination in the world, this new planning tool is for you. 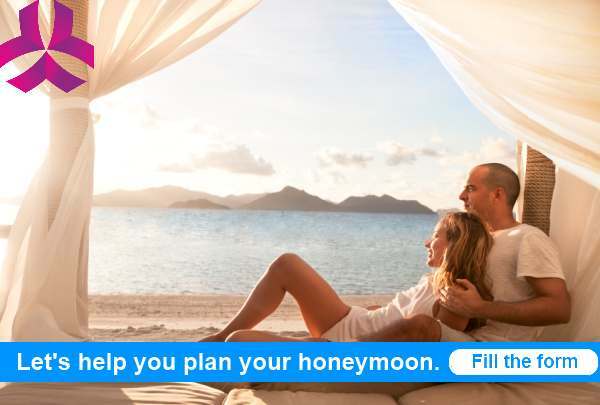 Fill in a simple form about your honeymoon plans. You will then receive at least 3 offers from nominated travel agents that we work with. They will send you their best quotations that meet your requirements. Compare offers and follow up with the travel agents over the phone or by meeting with them, whatever suits you best. Select the best offer and complete your honeymoon booking and payment with the travel agent that you selected. There is no need any more to go around town or make phone calls to explain each time what you are looking for. By simply filling this form, you receive the offers in the comfort of your office or home.